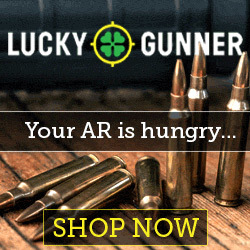 What do I need to reload the 50 BMG? That’s an easy question. 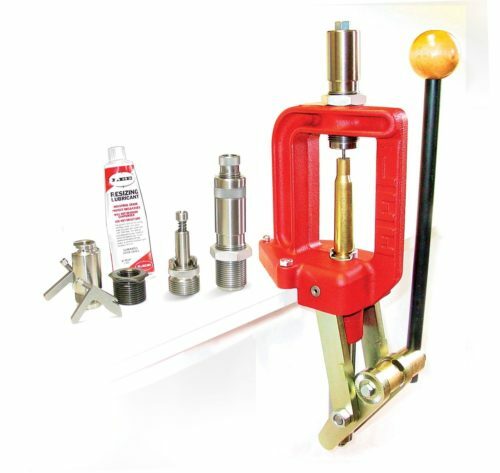 You need exactly the same tools you would need to reload any cartridge… only bigger. ***** The September Giveaway winner is Books Harmon of Tennessee. Congrats!!!! 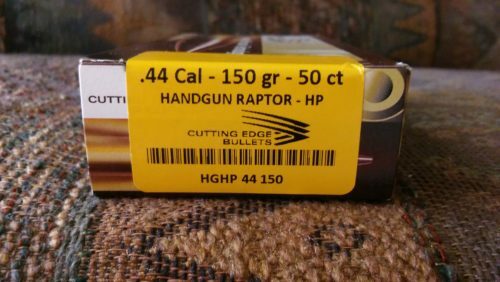 September’s US Shooter Giveaway is 1 box of .44 cal Cutting Edge Raptor HP Bullets. These retail for $66.00/box. These are simply the best handgun hunting bullet you can buy. How To Enter: Send an email to kevin(at)us-shooter(dot)com with Sept Giveaway in the subject line and your name in the body of the email. I will draw one name at the end of the giveaway. After the success of their Maximum Expansion bullets (which provided a devastating wound channel with reduced risk of over penetration) and Controlled Fracturing bullets (one of the most unique projectiles ever designed), Lehigh Defense decided to focus on innovating and updating the design of one of the late Elmer Keith’s creations, the hard cast Semi-Wad Cutter. 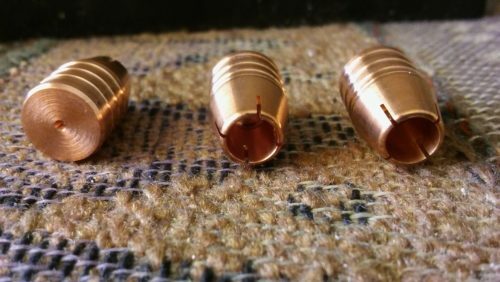 While the SWC wasn’t a perfect bullet, it was an improvement over the copper-jacketed lead core bullets, striking a balance between good penetration and respectable terminal performance (probably the reason it’s still with us today). That’s why, in 2011, Lehigh Defense started to innovate and update the design. 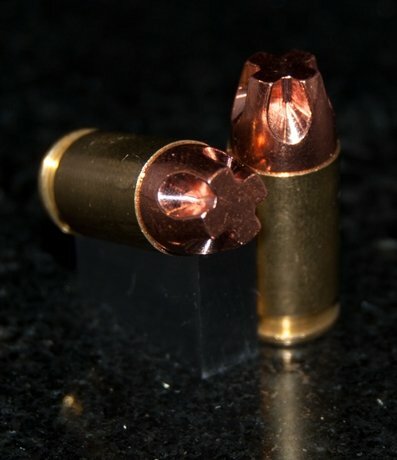 To overcome the limitations of the SWC Keith bullet, Lehigh Defense decided to design a bullet that would never break apart upon contact with a shoulder bone, one with sufficient length for straight line penetration, but less weight than a conventional hard cast lead bullet. In the Spring of 2014, after 3 long years of development, Lehigh Defense released the Xtreme Penetrator (XP), a next generation bullet that looks mean and delivers a high level of terminal performance (which is easily confirmed upon witnessing a test fire into 10% ballistic gel). Ultimately, the XP has exceeded all early design expectations. The “X” nose design is as wide as a traditional SWC design, but the cut-out flutes on the sides and top reduce the surface area enough to allow it to penetrate deeper but maintain higher velocity during penetration. 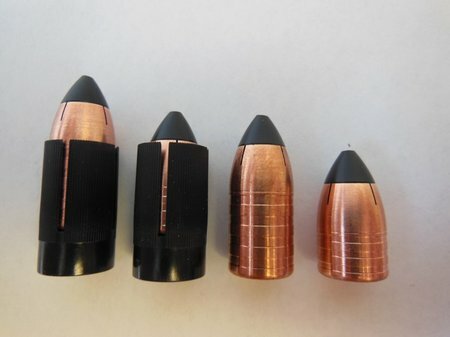 Since the XP bullet is lead-free, it is significantly lighter than leaded counterparts, which results in less recoil and increased velocities with equal powder charges. The XP design delivers plenty of penetration and unbelievable terminal performance while maintaining 100% of its original weight (regardless of what it comes into contact with). With looks to kill and performance that does just that, the XP has become Lehigh’s recommended go-to bullet for functionality and design in a single bullet. Visit Lehigh Defense to learn more about the Xtreme Pentrator and all of their innovative projectiles. 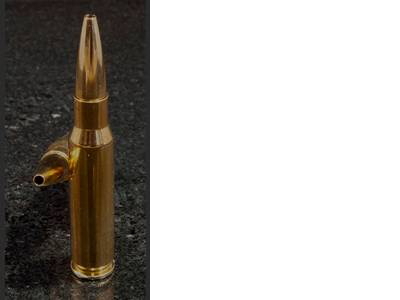 In 2011, Lehigh Defense was approached by a park management agency and asked to design a more environmentally-friendly high-terminal-performance bullet to assist in their animal culling efforts. While previous lead bullets had acceptable terminal performance, the agency wanted to evolve to a more ecologically sound solution. The mission was challenging, but clear: Lehigh Defense was to create a lead-free “green” bullet that would enter and fell an animal, without exiting. In other words, we needed to design and perfect a new technology using a lead alternative that would travel straight, strike accurately, cause maximum internal damage, and leave no exit wound. 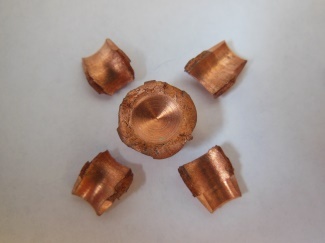 Noting the agency’s previous failed attempts to substitute with other manufacturer’s copper powder matrix bullets (due to lack of terminal performance), we immediately went to the shop and began evaluating new materials, prototyping unique designs, and testing various specifications and configurations. After considerable research and exhaustive range work, we emerged with the .243 Controlled Chaos bullet. 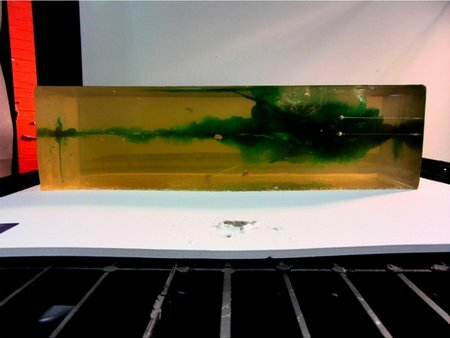 – all in an environmentally-friendly lead-free bullet. In addition, through careful engineering, our .243 Controlled Chaos bullet fragments were all contained within their target, never exiting to become a pass-through threat that could endanger unintended nearby targets. Recognizing the incredible potential of this new technology for hunting applications, we returned to the shop and worked to create a Controlled Chaos bullet that would deliver the same terminal performance, but produce a small off-side hole to provide a blood trail for tracking (should one be needed). From a complex challenge to produce an environmentally-friendly, lead-free evolution to the development of the ultimate hunting bullet, Controlled Chaos has been a learning experience and a definite move forward for both Lehigh Defense and the firearms industry. I always love to watch videos or shows on “How it’s made”. 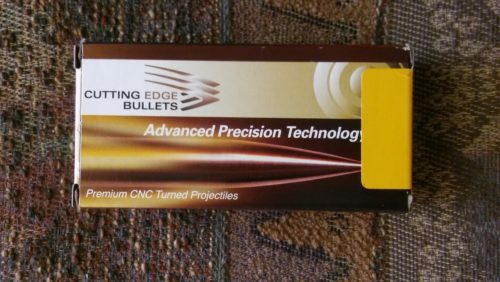 Here is a product video from Cutting Edge Bullets and features the high precision CNC machinery that machines each and every Cutting Edge bullet. You will see how they are made. Technology is amazing. Cutting Edge just released a brand new projectile for muzzle loaders…the MZL Raptor. Check out these beauties. CNC machined from solid copper. They are super precision and accurate plus explosive inside big game. The MZL Raptor is designed to loose the nose cap after 1.5 to 2 inches of penetration. Then the side blades or petals expand outward and shear off. These petals continue traveling causing more tissue destruction. The center base continues in a straight line, punching a large hole through the vitals. 5 projectiles in one, the MZL Raptor is amazing. The MZL Raptor muzzle loader bullet is available in .50 caliber and 2 weights…160 grain and 250 grain. When you need the very best.